Turnkey business opportunity short distance from highway in Sackville. 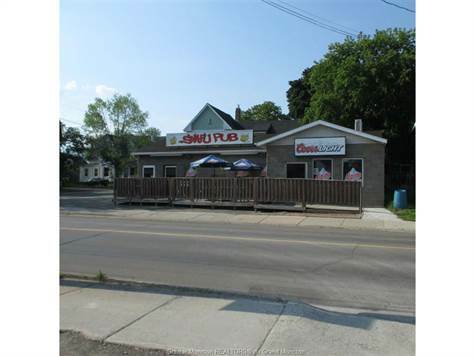 • 1880 sqft commercial “General Store / Variety” – FOR SALE 269900 CAD . TURNKEY BUSINESS OPPORTUNITY SHORT DISTANCE FROM HIGHWAY! Lots of potential for a motivated entrepreneur to take on this well-established business and add more to it! This property also has an established Canada Post authorized outlet within the convenience store which offers steady rental income stream. 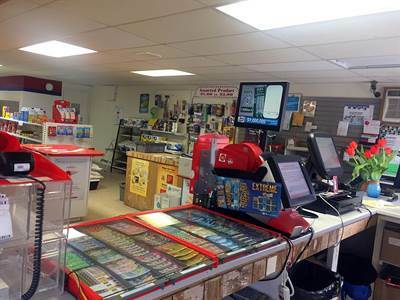 It is also an authorized lottery dealer and Convenience store with ATM. The building, business, equipment and inventory are all included in the price. Lots of parking available. Financials available upon request to serious and qualified Buyers only. Call today for more details. Posted on April 25, 2017 May 24, 2017 Categories Commercial, Listing, Real Estate, SellingLeave a comment on Turnkey business opportunity short distance from highway in Sackville. Great turnkey business opportunity in downtown Moncton! • 1,300 sq. ft. commercial – $219,900 CAD. GREAT BUSINESS OPPORTUNITY IN DOWNTOWN MONCTON! Already functioning and operational with a long-standing clientele! This ready-to-go (RENOVATED BUILDING) business has been operational for almost 20 years. Located in a VERY prime area of downtown Moncton, on St. George St. With a seating capacity of 99 people, this business is definitely a money maker for the right person. Operate this long standing business as is, a pub with eating facilities, or convert this business as a restaurant or any other type of business! All restaurant and bar equipment is included in the sale of this property! Already zoned commercial! Many renovations have been done on both the interior and the exterior over the past few years. Large 27/16 Ft outdoor patio for outside dining and beverage times! CALL TODAY FOR YOUR VERY OWN PERSONAL VIEWING! Posted on July 22, 2016 August 9, 2016 Categories Buying, Commercial, Listing, Real EstateLeave a comment on Great turnkey business opportunity in downtown Moncton!